Home News Singing and Grooving with Sean W. Smith! Students groove along with Sean W. Smith! Last Tuesday Sean W. Smith spent time with the Primary students in Years 1-6. Students said Sean talked about – being confident in ourselves, to not be ashamed, about being awesome, to encourage one another and that we are all Children of God. 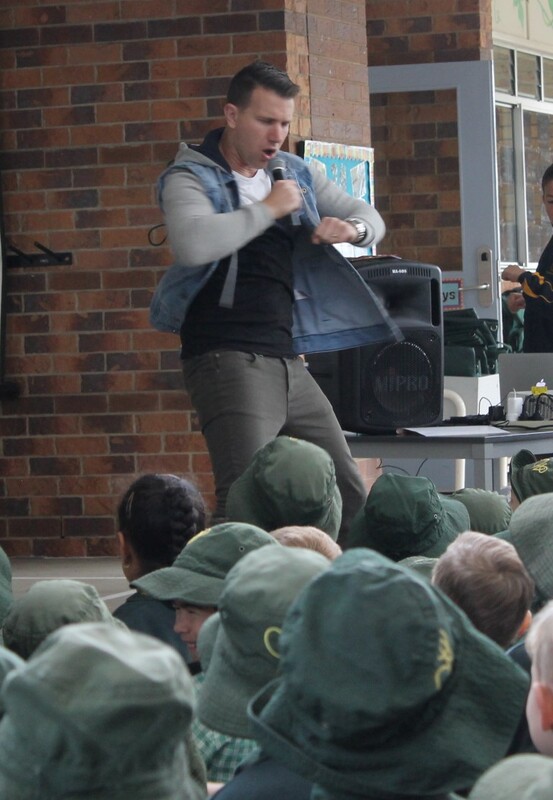 Students said that Sean was – funny, cool, crazy, awesome and that they LOVED IT! Thanks for visiting us Sean and all the best as you continue your ‘NOT ASHAMED’ Tour. Sean W. Smith performs on Maxi Meeting!